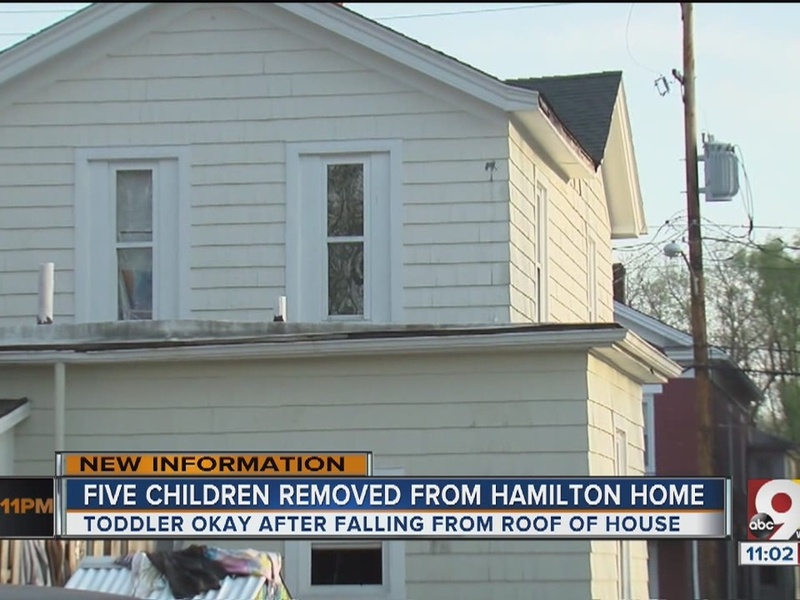 HAMILTON, Ohio -- A toddler fell off the roof of a Hamilton home Wednesday afternoon, neighbors and police said. Neighbors on Heaton Street said they saw three or four children, all still in diapers, walking on the roof at about 3 p.m. They apparently had crawled out a window, the neighbors said. "If the parent is not up there accompanying that baby, they’re not watching them," neighbor Lori Winkelbach said. "And there's no reason for a baby that young to be on the roof unsupervised." When a boy got close to the edge, neighbors said they yelled and tried to catch the child, who fell about one story onto the ground. 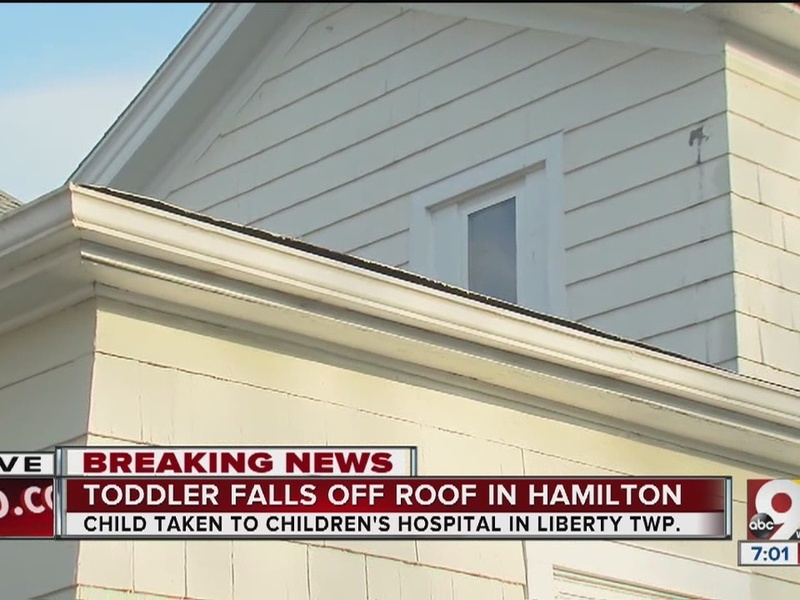 The child was OK and released from Cincinnati Children's Medical Center. The mother, 30-year-old Shandra Wolfe, was charged with child endangering. Investigators said they found deplorable conditions inside the home. Officials from butler County Children's Services removed the five children from Wolfe's care.